Sunset Key is located off the western edge of Key West. If you're standing at Mallory Square and look across the harbor, that Island just across the water is it. Imagine 27 lush, tropical acres of three and four bedroom cottages (and a private home or two). Fantastic panoramic views of the Gulf of Mexico, pool with swim up bar, and two restaurants. 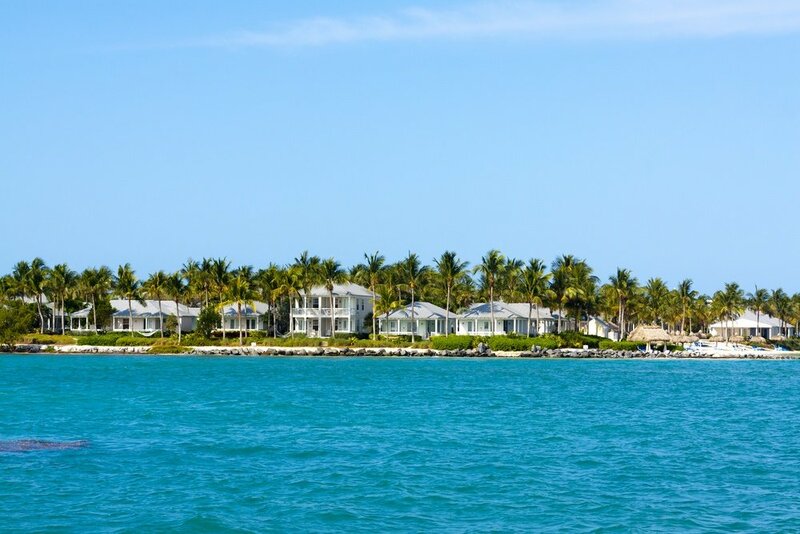 Sunset Key Cottages are located just 500 yards off Key West and is often referred to as an “Island off an Island”. There is a boat ferry service from Key West to Sunset Key operating 24-hours/day. Majestically located 90 nautical miles from the Cuban coast and 150 miles from Miami, Sunset Key leads into the tropics earning the decree as the gateway to the Islands of Caribbean. When you've had your fill of "Island" life, then hop on the island ferry, back to Key West. Close to the ferry's launch is the Key West Aquarium, the Mel Fisher Maritime Museum and of course, the world famous Duval Street.